Print Power provides high quality Postcard printing which you may use it as a powerful advertising tool that is inexpensive to distribute among customers and prospects. A postcard or post card is a rectangular piece of thick paper or thin cardboard intended for writing and mailing without an envelope. In some places, it is possible to send them for a lower fee than for a letter. Stamp collectors distinguish between postcards (which require a stamp) and postal cards (which have the postage pre-printed on them). 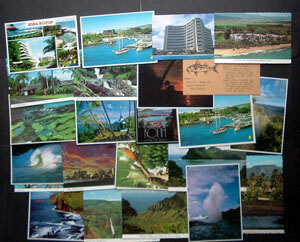 While a postcard is usually printed by a private company, individual or organization, a postal card is issued by the relevant postal authority. The United States Postal Service defines a postcard as: rectangular, at least 3½ inches high × 5 inches long × 0.007 inches thick and no more than 4¼ inches high × 6 inches long × 0.016 inches thick; (in metric; 12.7cm × 8.9cm). However, some postcards have deviated from this (for example, shaped postcards).